Assuming everyone has upgraded to Windows 10 by now, it’s a useful time to post some tips that could help the new user get a leg up more quickly. So far, reaction seems to be going well – even some Mac users quite like it (though if you read to the very end, it’s not all a bed of roses) – and if, nothing else, there are some notable improvements over previous Windows versions. The new Edge browser is one of the more celebrated bits of Windows 10, at least for now. It’s fast, it’s standards-compliant (and that’s something of a double-edged sword to a degree, as it means legacy plugins and old-layout web pages might not work). Even naysayers admit that Edge is a Good Thing, on the basis that it’ll put a firecracker into the Webkit bonfire, even if it’s not perfect itself. For new upgraders, the first thing you might decide to do with Edge is to restore your favourites from IE – click on the multi-line icon on the toolbar, then the star (which represents Favourites), and click Import favourites to bring yours from IE. Some degree of username/password history will come across as well, though you may need to select the username on the first visit to a web page (as cookies are not migrated across). To use Edge on intranet sites when attached to a corporate network, you can force the browser to try the intranet address only by adding a trailing slash to the end of the name – eg msweb/. This will stop it from trying to find that name on the internet, if for any reason it can’t get to the site internally. If you are find sites that don’t like Edge, you can always click on the ellipsis (…) menu on the top right, and click Open in Internet Explorer, and the page will launch in IE11. Whilst you’re at it, you might want to pin the IE icon to your taskbar by right-clicking on it – then you can always go straight to IE next time. If you’d like to change your default browser altogether, just type default web browser at the start menu, and that will let you reset to IE or another browser. Depending on how your upgrade has gone, Brits who run Windows 10 might find that Cortana isn’t showing up as available in the region, even though she’s supposed to be. The same might be true of other lingos – your mileage may vary. If you’re having trouble getting old Blue Eyes to play ball and you’re in Blighty, you’ll need to make sure all your language settings are tickety-boo. Check you’ve got the right country set in the high-level settings, but don’t stop there –make sure the language pack isn’t still searching Windows Update, and that each of the components has been downloaded. Select the Windows display language shown, and within Options, click on Speech and make sure the language you speak is correct. If you make sure that you have the correct language pack installed, and that it’s set as the speech language, then you should be allowed to enable Cortana. 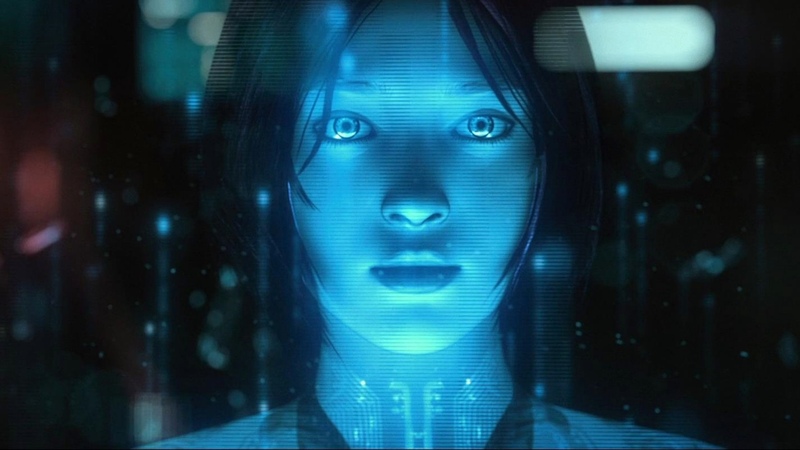 If you have a microphone on your PC, then you can also switch on “Hey Cortana”, which will mean she’s listening out for you to say that all the time… and will jump in with a spoken response to your every query. Just make sure your Windows Phone isn’t nearby or you’ll end up cheating on one Cortana with another. Let’s wait for the Cortana vs Cortana Youtube videos.